On the seventh day, the Almighty created THE RUBINOOS. OK, while that statement is not technically true – The Rubinoos was formed in 1970 by JON RUBIN and TOMMY DUNBAR – the band’s music is so honest, so pure and so joyful that it must have been created in those cotton candy clouds that dance across the blueberry sky. And no, that is not meant to demean the band’s music in any way. In fact, just the opposite! So many artists today are content to bring the listener down with their woeful self-centered tales of all the travesties of the world. However, for 47 years, The Rubinoos has created music that takes the listener away from the cruel hardships – and hipster beards – of the world and takes them to a happier place. If music is your escape then it is time to board Starship Rubinoos. This is not to say that every Rubinoos song is a joyful party, though. 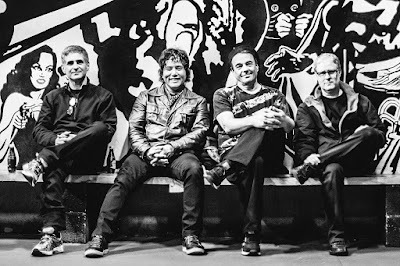 The songs – mostly written by Dunbar with a variety of co-writers – are cleverly penned three minute gems that usually focus on all the important stuff (love, heartbreak, Rock ‘n’ Roll, nerds, arcades, etc.) but can be quite heartbreaking at times. Thankfully, the band’s music always offers hope… and it usually comes in a hard candy shell that doesn’t melt in your hands! The most important part of The Rubinoos’ music is the fact that they always seem to be enjoying what they are doing. Even 47 years after Tommy and Jon came together to form the band, they still manage to create some of the most magical, melodic music on the planet. With Tommy on guitar and vocals, Jon on vocals and guitar, DONN SPINDT on drums and vocals and ‘newbie’ (since 1980) AL CHAN on bass and vocals, the band has never released an album that is less than 100% satisfying. 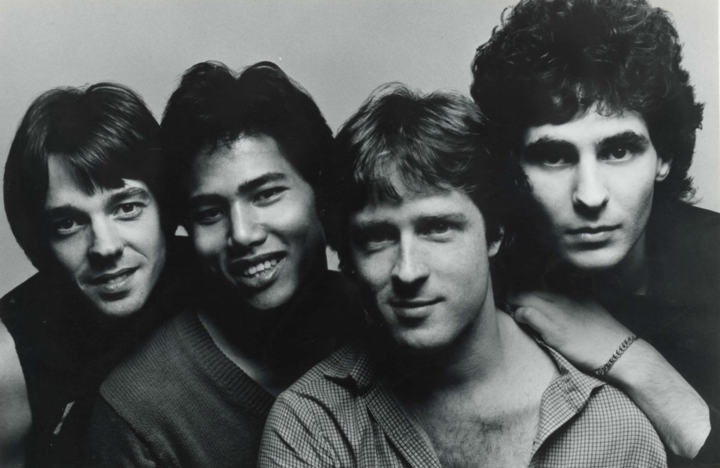 Brief history: Tommy, Jon, Donn and ROYSE ADER (bass) released their selft-titled debut album in 1977. They scored a bonafide hit with their cover of the Tommy James classic “I Think We’re Alone Now”. The quartet released a second album – Back To The Drawing Board - in 1979. Ader quit in 1980 and Al Chan stepped in on bass/vocals. The band recorded demos for their third album, which never happened. Tommy and Jon moved to L.A. and The Rubinoos became a duo. A mini-album – Party Of Two – and the theme for Revenge Of The Nerds followed. Then they went quiet. In 1993, the demos for the third album were officially released as The Basement Tapes. Interest in the band picked up steam and by 1999, they released Paleophonic, their first album of new Rubinoos tracks in nearly 20 years. Since then, they’ve released a new album every few years, their most recent being 45 (released in 2015 on the 45th Anniversary of their first gig). 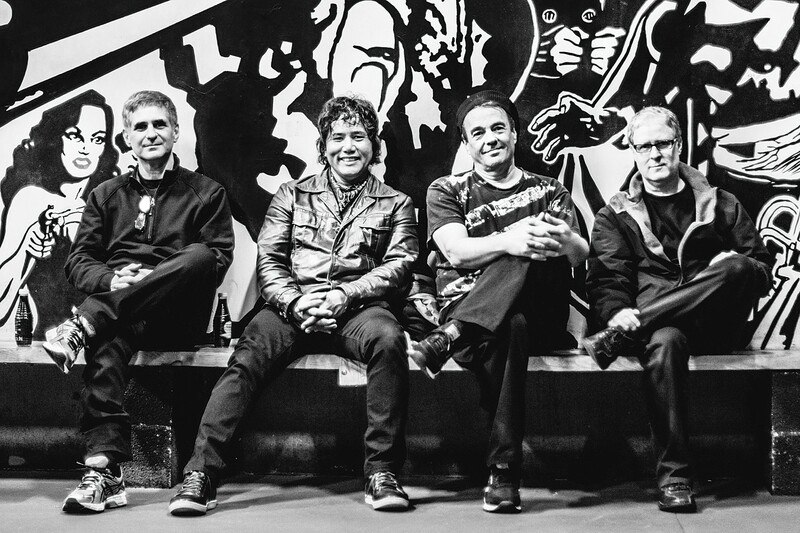 Since they re-emerged in 1999, all four members – Tommy, Jon, Donn and Al - have been present and accounted for (Spindt did take time off for good behavior and multi-talented actor/musician/producer ROBBIE RIST sat in for him on 2010’s Automatic Toaster album). Tommy Dunbar is one of THE great Pop songwriters of our generation and Jon Rubin possesses one of the most pure voices you will hear on a Rock record. Thankfully, Al Chan is an exceptional vocalist as well. As is Tommy. Heck, the whole cast and crew is pretty damn amazing. For a band to be doing this for so long and still maintaining the same energy and integrity is something to behold. They may not have invented Power Pop but they personify everything that is great about Power Pop: melody, harmonies, jangle, hooks, handclaps and joy. 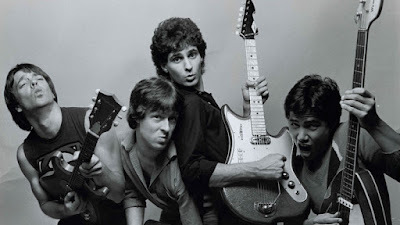 But The Rubinoos are much more than a Power Pop band – they are truly one of the last pure Rock bands we have. Please hold them close to your heart and never let them go. Here are 10 tracks that I feel best represent The Rubinoos to the uninitiated. Each fan will have a different opinion and that is OK. But this is MY blog post so…. My Rubes, my rules! P.S. Even now, I want to go back and switch them out for 10 others! Egads! 1. "I THINK WE'RE ALONE NOW"
2. "I WANNA BE YOUR BOYFRIEND"
5. "NOTHING A LITTLE LOVE WON'T CURE"
6. "IN THE WORST WAY"
7. "MUST BE A WORD"
10. "AS LONG AS I'M WITH YOU"